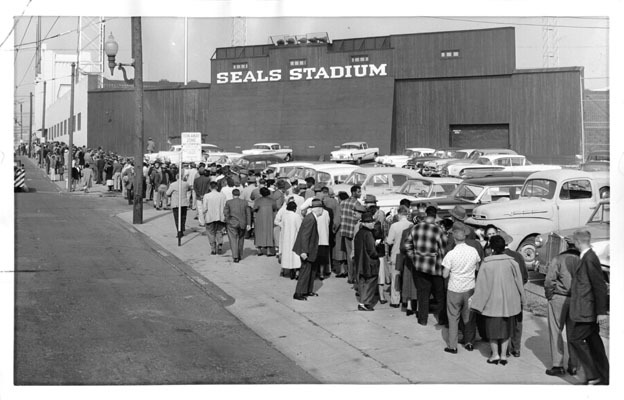 Title [Line of people on Sixteenth Street waiting to buy tickets for opening day game at Seals Stadium] [graphic]. Notes Newscopy: "Fans queue up for a block along Sixteenth Street waiting to buy tickets for opening game. ".